Pioneers in the industry, we offer isolation transformer and online ups output isolation transformers from India. An isolation transformer is a transformer used to transfer electrical power from a source of alternating current (AC) power to some equipment or device while isolating the powered device from the power source, usually for safety reasons. 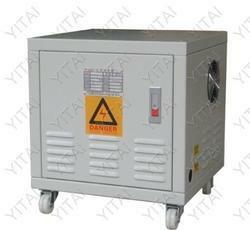 This type of transformer used for medical equipments load, CNC machines and sophisticated equipments load. 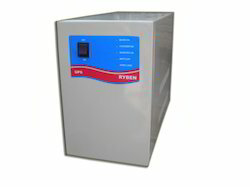 Most modern UPS systems do not include the internal transformers that were present in earlier designs. This evolution has increased efficiency while decreasing the weight, size, and raw materials consumption of UPS systems. In the new transformerless UPS designs, the transformers are optional and can be placed in the best location to achieve a required purpose. In older designs, transformers were typically installed in permanent positions where they provided no benefit, reduced system efficiency, or were not optimally located. Looking for Isolation Transformers ?